You need something done to your boat and your boat yard is busy, your regular service guy can’t help and time is running out. Yes, there’s an app for that! Mariner Exchange. Various members of The Waterway Guide team tried it – and it works. Here’s my report. 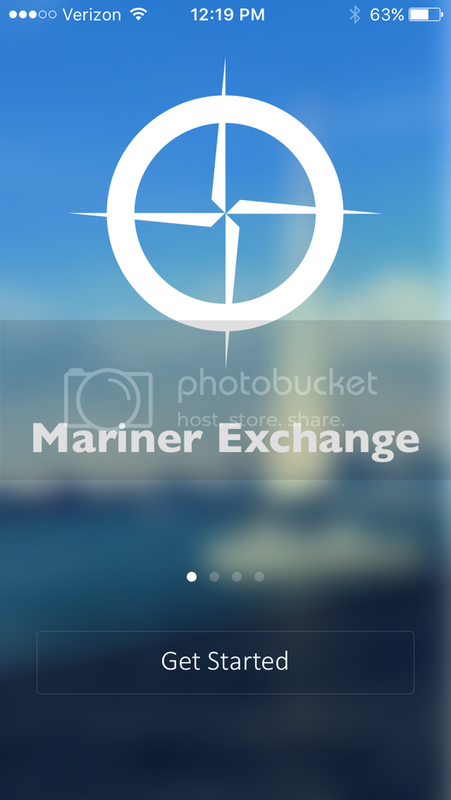 Mariner Exchange believes that service providers and boaters should have an easy way to connect with each other. 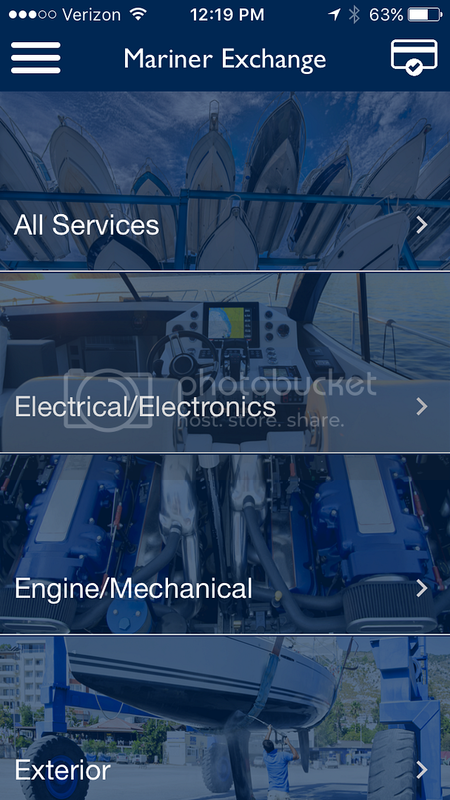 Whether the work is done in a boat yard or at the dock, the app puts technicians and boat owners together easily and quickly. 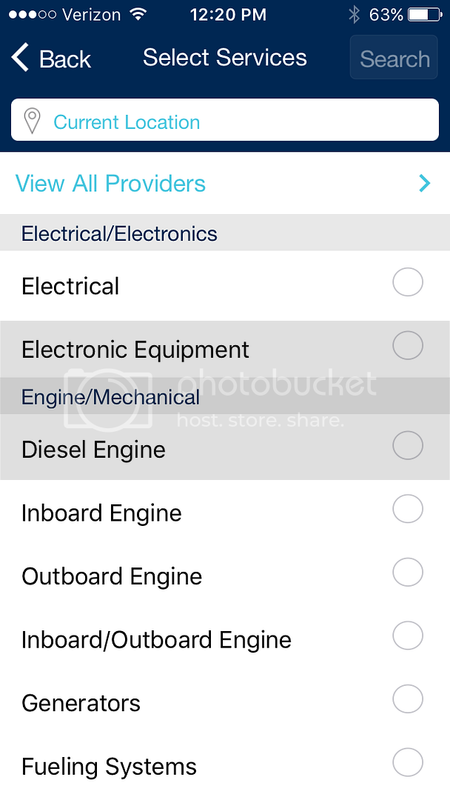 The mobile app has an easy-to-navigate interface and provides an option for you to pay the provider electronically. You build a personal profile and search for any number of categories of providers. Here’s how I tested the app. I needed an electrician to rewire a master switch and install a new battery charger. I used the Electrical category in the app, made two inquiries and waited for a response. I got two emails and a telephone call within an hour. These were not automated responses. The technicians responded to my questions via email and then followed up with phone calls. The significance of an app like this, to me, is that I don’t need to call a yard, or yards, or look for a technician online. Typically, I would call or email them, wait for a response, explain the situation to each person responding and try to decide who is best. With Mariner Exchange, I see a list of service providers and their expertise and backgrounds by category. I then email them through the app and wait for them to contact me. I gauge their interest by how quickly they respond and can discuss scheduling and costs when they follow up. One feature that I find helpful is the ratings and review option in the app for both users and providers. Mariner Exchange has strong coverage in the Chesapeake Bay region, Florida and New England. Now with over 10,000 users and 3,000 service providers, it was recently awarded app of the month by Cruising World. You should give it a try. The company is building its base of providers and is dedicated to making the process of linking boaters to service providers uncomplicated and straightforward. I think this is a winner, especially as it increases in coverage areas and subscribers. Available on iOs and Android devices.